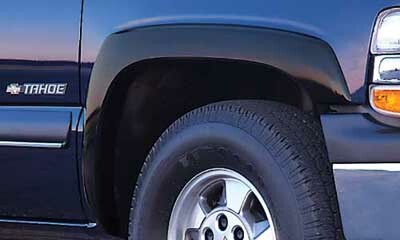 Fender flares guard body paint from hazardous road debris that can chip or scratch. This accessory is manufactured from premium materials that will not shrink, fade, or crack. No drilling is required. These fender flares adhere with a strong 3M tape.